MGM is set to produce a new Aretha Franklin biopic, which will star Oscar-winner Jennifer Hudson as the legendary Franklin. On Saturday night, Clive Davis hosted his annual pre-Grammy party in which he reportedly revealed the exciting casting news. Variety reported that Davis said Franklin herself had approved Hudson for the starring role. Barry Manilow, Luis Fonsi, Ben Platt, Alicia Keys, Khalid and Logic also performed at the star-studded party, according to Variety. Franklin, who has won 17 Grammys, was also honored with the Presidential Medal of Freedom from President George W. Bush in 2005. President Barack Obama is also a fan of Franklin. “Nobody embodies more fully the connection between the African-American spiritual, the blues, R&B, rock and roll — the way that hardship and sorrow were transformed into something full of beauty and vitality and hope,” Obama said in a statement to writer David Remnick for an extensive New Yorker profile feature in 2016. Although Aretha Franklin has retired from releasing new music, her legacy has inspired other tributes as well. For example, last June, Aretha Franklin was honored in Detroit with a street named in her honor. A crowd gathered at the Music Hall Center for the Performing Arts for the reveal of the new sign for “Aretha Franklin Way,” and Franklin admitted that she was a little emotional. “I knew I would get weepy when I got down here,” she told the gathered crowd before she went on to thank the city for the honor. Franklin moved to Detroit in 1946 from Memphis, Tennessee, when her father became pastor of New Bethel Baptist Church, and since that time, Detroit has always had her love and her heart. She even announced last year that she wants to open up a nightclub in the area. Jennifer Hudson seems like a logical choice to play the Queen of Soul. The Grammy winning singer has proven she has the pipes to cover Franklin’s classics. But Hudson was not actually Franklin’s first choice to play her in a biopic. Back in 2011, Franklin expressed that Halle Berry was her number one pick to play her in a movie about her life. While on the red carpet at that year’s Golden Globes, Berry was asked about Franklin’s desire and she demurred on the subject. “Someone should tell Aretha that I can’t do her justice,” said Berry who previously won an Emmy for playing the another legend in HBO’s Introducing Dorothy Dandridge. Berry is not a singer and used lip synching for the singing scenes. 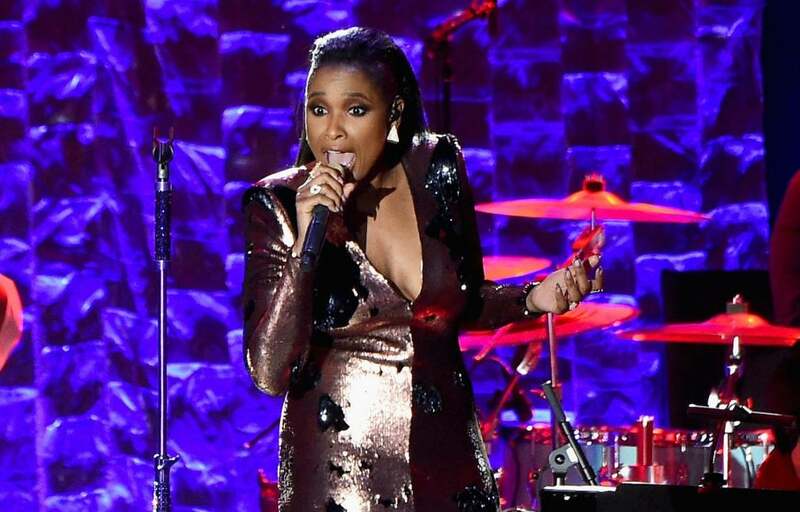 At the time, Wendy Williams implored Franklin to consider Jennifer Hudson. Fast forward seven years and that is exactly what happened.